Blogger offers two free publishing options for your blog :- Hosting On Blogspot (example.blogspot.com) and Hosting on your own Custom Domain (www.example.com or foo.example.com). You can change your publishing option at anytime and your content will always remain unaltered regardless of which of these options you choose. Find the control panel on your registered domain website and locate your DNS (Domain Name System) settings. In order to link your blog to your custom domain, follow the instructions below to enter your "CNAME" and "A-records." 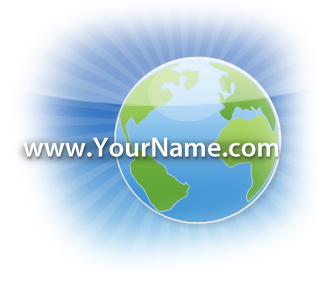 Where it says Name, simply enter "www" and list ghs.google.com as the Host Name. E.g. If yours isn't listed, or if you run into other difficulties, contact your registrar directly and they can help you out.